As your cat gets older, you might find it more challenging to get him to engage in play with you. He might sleep more, not be as interested in romping around and chasing things, and generally seem to be less playful. However, senior cats need interaction and play as much as younger cats. It keeps them mentally stimulated, physically active, and helps keep the bond with their humans strong. Here are some tips for keeping your senior cat playing safely. Make routine veterinary appointments for your senior cat. With regular exams and lab work, your vet can catch some health problems earlier, and that's always better. At each visit, ask your veterinarian if it's safe for your cat to play. Cats with heart disease, for instance, might need low-key play methods. Pain can negatively impact your senior cat's ability and desire to play. Arthritis is a significant cause of pain in older cats. If your cat seems stiff getting up and down from a lying position, limps, or licks excessively over the joints, arthritis might be the culprit. 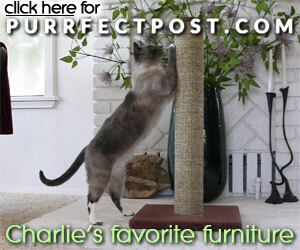 Learn more signs here: "7 Signs That Your Cat Might Have Arthritis." Ask your veterinarian to examine and possibly x-ray your cat. If necessary, the doctor might prescribe pain or anti-inflammatory medications to help ease your cat's arthritis pain. Never give medicine to your cat without checking with your vet first. 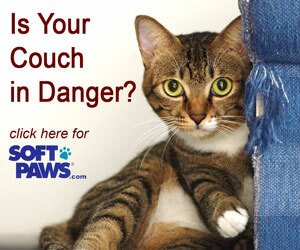 Cats are sensitive to many meds, and injury or death could occur. By the time your cat is a senior, you'll probably have a good idea of the types of toys he likes. Wand toys, automatic toys, throw toys, and catnip and honeysuckle toys are all popular choices. As your cat gets older, his taste in toys might change and develop, so it's a good idea to try new toys often to see if he's interested. If your cat seems reluctant to play, using catnip spray or loose catnip rubbed on an old toy can help if he's one of the 2/3 of cats that react to catnip. If your cat doesn't respond to catnip, try honeysuckle spray or silver vine. Wand toys should always be put away out of reach of your cat when not in use. They can be dangerous when your cat attempts to play with them unsupervised, entangling limbs or being a strangulation hazard. Rotate toys often, so your cat doesn't get bored. This is a good idea for cats in all age groups, but it might be even more crucial when dealing with a senior cat. In general, you just might have to work a little harder at getting your older cat interested in a play session than you did when he was younger. As your cat gets older, you might find that he's not as interested in jumping and leaping as he once was. Adjust your interactive play to keep things lower and see if that encourages him to play more. For instance, use a wand toy but keep it slithering on the floor or hovering only inches above it rather than lifting it up higher into the air. Your senior cat might not have the stamina to play for as long of a period at once as he used to. Try shorter play sessions more often throughout the day. That might help him get his regular play time in without feeling like he's overdoing it and causing him to give up on play entirely. Puzzle toys can be a great way to engage a senior cat and keep him mentally sharp. These toys require your kitty to do some mental work to figure out how to get a treat or kibble of food to fall out. These toys can help your senior cat feel like a great hunter, which is good for his emotional health and helps decrease stress. Make up for what your senior cat might not be able to do physically by adding opportunities for mental enrichment. Put a nice, big cat tree next to a window and place a bird feeder within view outside. Add extra cozy cat beds to your home to give comfort to sore joints and increase your cat's quality of life. Spend more time cuddling up with your cat and a Muffin Blanket. For other ways to care for your senior cat, check out the articles in this category: Senior Cats.